Click thru to see the collection of imaginary museums featured in a book designed by Ellen Lupton. Click thru to see the rest of Sally's design for VACATION. 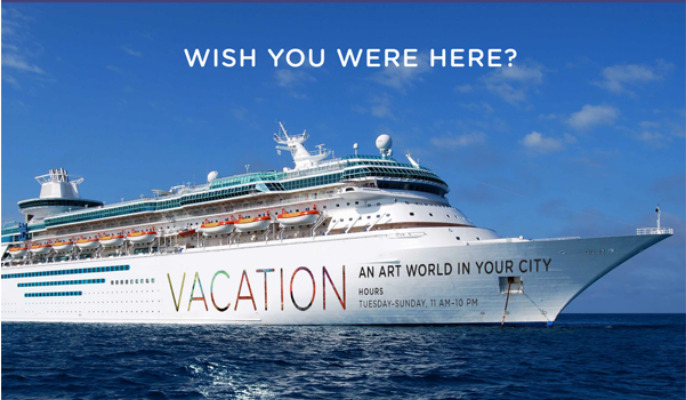 Click thru to see the artists Kelly and Gloria would like to feature in VACATION. Collaborative project with Curatorial Practice MFA student Gloria Azucena and MICA Graphic Design MFA student Sally Maier. 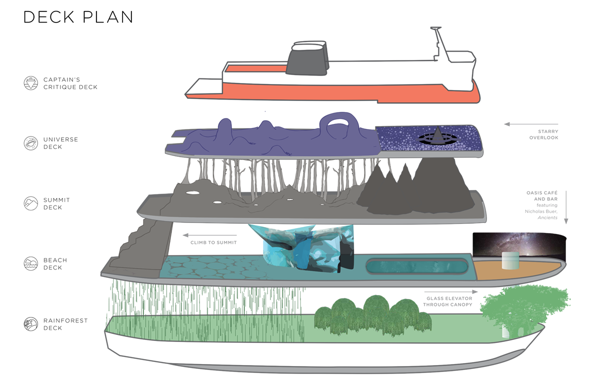 Created original museum concept and design: contemporary art museum on a cruise ship featuring simulated vacation destinations. Motivations: to recreate the pleasure of vacationing without spending money and time on actual travel, while also critiquing the continuation of colonialism through vacationing. Inspired by contemporary artists who create immersive installations, such as Jim Denevan, Leandro Erlich, Takashi Kuribayashi, Yayoi Kasuma, and Olafur Eliasson.